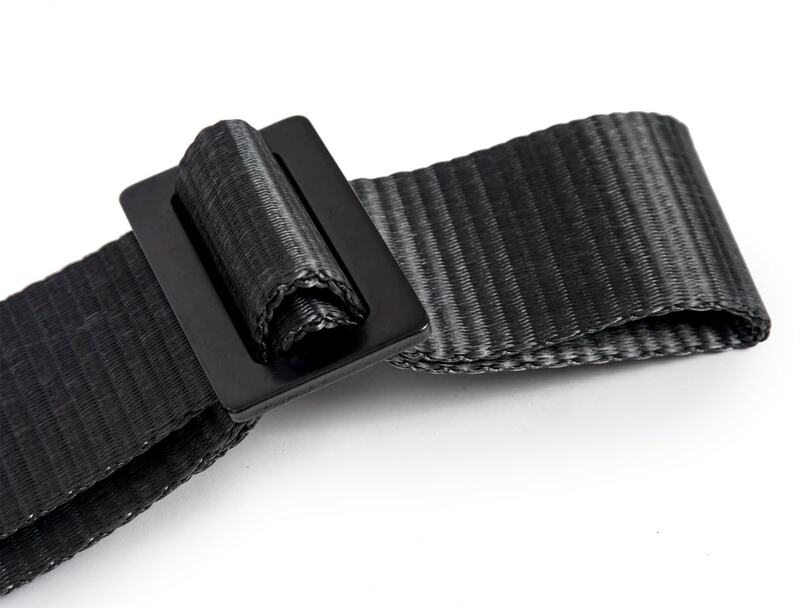 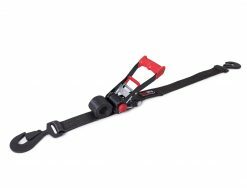 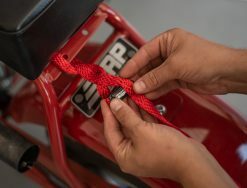 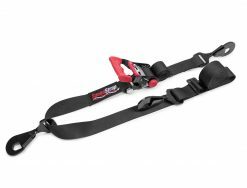 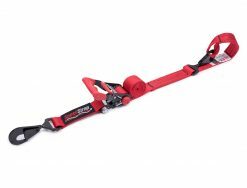 Each end of this 3-point spare tire tie-down is fully adjustable to allow the center point and ratchet to be positioned right where you want it. 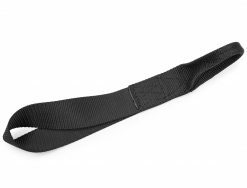 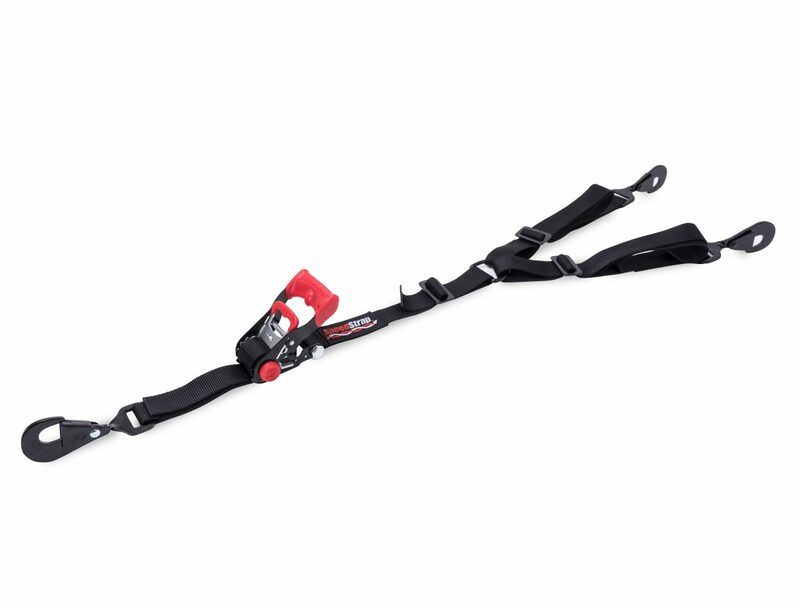 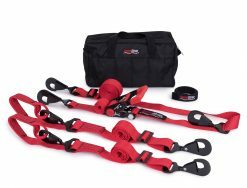 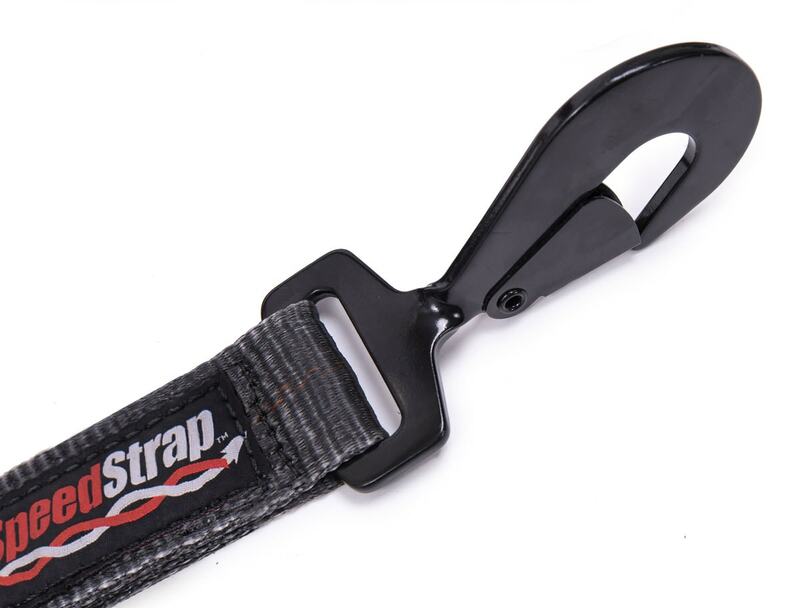 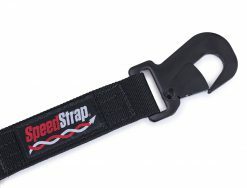 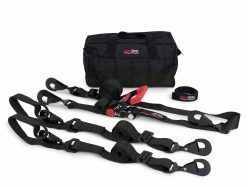 Constructed of 1.75″ nylon material, a deluxe wide grip ratchet, and twisted snap hooks. 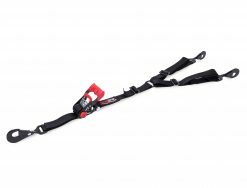 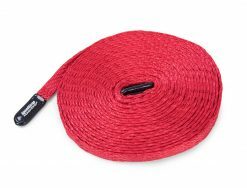 This tie-down is the perfect size for UTV and ATV tires. Available with Flat Hooks, Twisted Hooks, or Looped Ends.